Get your copy of my Author's Media Kit HERE. Listen to my live interview with Scott Golden on Power of Perception Blog Talk Radio and learn all about my writing style, how my stories are created and fun facts about my life, interests and faith. 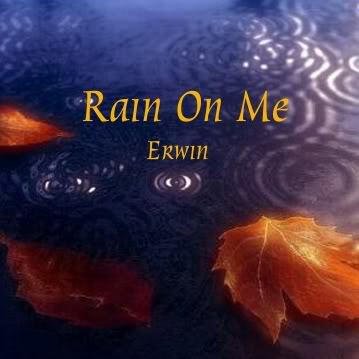 April Erwin wrote her first book in Kindergarten and although the happily ever after story of a rabbit family wasn’t a success, her recent stories have been. A full on nerd, April will study whatever strikes her interest in the moment and her Internet browsing history can prove it. She holds an Associate in Graphological Science (the study of handwriting analysis); tutors dyslexic and reading challenged individuals, enjoys photography, and is a singer/songwriter recording original music with her sister, Angel. Raised in the Gospel of Jesus Christ, she’s a lifelong resident of Independence, Missouri. When not working on her latest project, you can find April devouring a great book, watching movies with her family, or spending way too much time on Facebook. 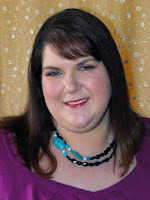 Author of Romantic Comedy Dysfunction Junction and Inspirational Romance Missing Pieces, her most recent releases include the Romantic Suspense series, Heroes in Justice, featuring International Best-Seller Justice Burning, A Volunteer Christmas and The Power of Love. Just like my character, Kianna, I love to write songs. Music has been an integral part of my life for as long as I can remember. I was making up songs that praised Jesus and teaching them to my dolls in "Sunday School" before I was old enough to go to Kindergarten. 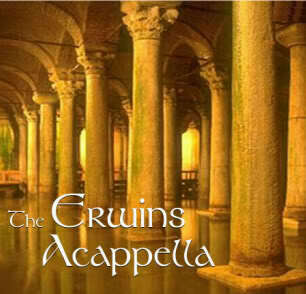 I started singing as part of an A cappella trio called, The Erwins, with my mom and sister when I was about 11. I didn't take my songwriting journey seriously until 2001, when my sister, Angel and I both joined a studio to work on music vocals and songwriting. 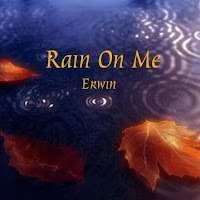 Together, we simply became, Erwin, and recorded our first two original songs. "Free to Fly" and "Rain on Me". 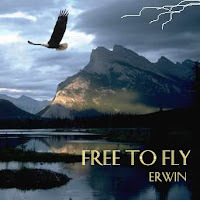 "Free to Fly" was even debuted on local KKFI FM radio with host George Biswell. You can hear the music and the interview by visiting our family website, TheErwins.com. Music is just one of my loves, telling a good story has been a part of me for just as long. I started writing my first "book" in First grade. It was about bunnies. My second attempt at a novel started in the Fifth grade and I filled 3 notebooks by hand telling my suspense story. Then, my senior year in high school, I saw a scene in my mind. In it, a young woman sat in an attic exploring a trunk that had been left to her as part of an inheritance. While digging she finds a journal that belonged to her mother and a Book of Mormon. That scene set my mind whirling and I began writing a story. At first it was just the scene, but soon it expanded and after several years of writing classes, I published Missing Pieces. Missing Pieces was well received and even adapted as a school play by my high school Alma Mater where the story was first born. Talk about coming full circle! I've been very blessed to have attended private Christian schools. This was by my personal choice and I loved being a part of them. The first was a small school that was housed in two double wide trailers next to the congregation we attended in Atherton, MO. It was called Eagle Hills, and it housed K-8th grade. That school closed my Eighth grade year and I knew a new school was being opened in Independence, MO very close to my home and I wanted to attend there very much. So I home schooled two years until Center Place Restoration School opened its doors in 1992 to K-12th grade. I was the very first student enrolled! Yes, I was a nerd and that excited about school! CPRS was a fantastic experience for me. They're a fantastic school that I still support in any way I can. After high school I worked full time and took classes here and there for things that intrigued me. Writing classes, photography, graphology. One of the best things? I got to do it with my family. My sister and dad took photography classes with me (even though Dad was already a photographer by trade), and my mom joined the three of us for the handwriting analysis classes. All four of us received our Associate in Graphological Science together. Here is where I have been blessed the most. I have a wonderful and supportive family. My parents were foster parents for many years, fostering more than 28 children and adopting two. A third aged out before adoption, but is still family after all these years. It's through my family that I have learned and experienced so much, both good and bad. That is what my stories most often come down to, regardless of the fictional plot or crazy ideas; it's the lessons and love that come from the heart that fill in all the spaces. Love that came from parents who loved God deeply, loved each other deeply, and sacrificed whatever necessary to care for and love us. 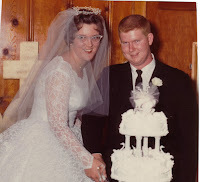 Dad went home to be with Jesus in 2009, just three years before my parent's 50th anniversary. Although I would have loved to see Mom and Dad celebrate that milestone, I'm very grateful for the 47 years of example that they were able to set for everyone around them. We believe that men will be punished for their own sins, and not for Adam's transgressions. We believe that through atonement of Christ all mankind may be saved by obedience to the laws and ordinances of the gospel. We believe that a man must be called of God by "prophecy, and by laying on of hands" by those who are in authority to preach the gospel and administer the ordinances thereof. We believe in the literal gathering of Israel and in the restoration of the Ten Tribes, that Zion will be built upon this continent, that Christ will reign personally upon the earth, and that the earth will be renewed and receive its paradisaic glory. We believe in being honest, true, chaste, benevolent, virtuous, and in doing good to all men; indeed we may say that we follow the admonition of Paul, "we believe all things, we hope all things," we have endured many things, and hope to be able to endure all things. If there is anything virtuous, lovely, or of good report or praiseworthy, we seek after these things.